Share the allure of Scentsy with the Home Sweet Home warmer and Welcome Home bar. Just $3, this round disc transforms a small space into a cozy destination. Hang your Scent Circle in a closet, bath, mudroom, car or locker. At $5, this Scentsy Bar has 8 small cubes. Simply snap one add drop into your favorite Scentsy electric warmer to enjoy a welcoming scent for days to come. No flaming candles to remember to extinguish. 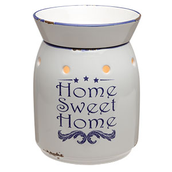 Visit Ethos Boutique for more Scentsy, creative inspiration, gifts, fashion, decor, and more. We want to hear from you. Follow us on social media.